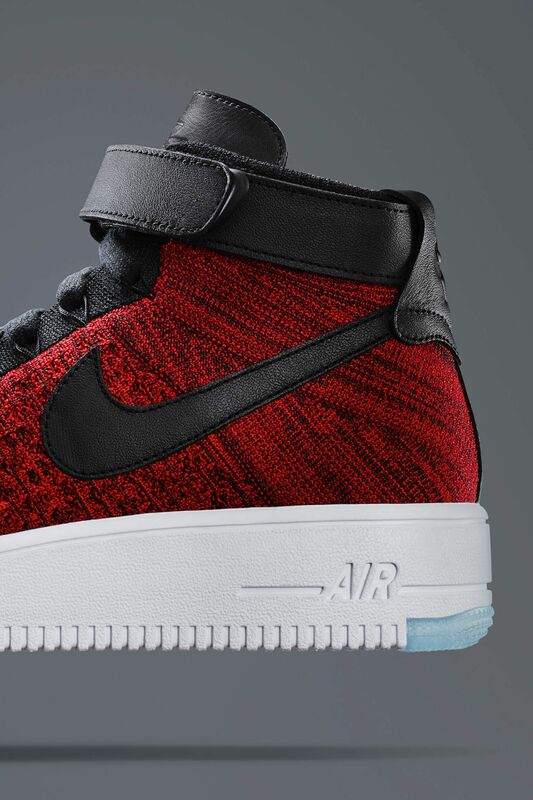 Living on long past its days in the league, the Air Force 1 is introduced featuring Flyknit technology for the first time. 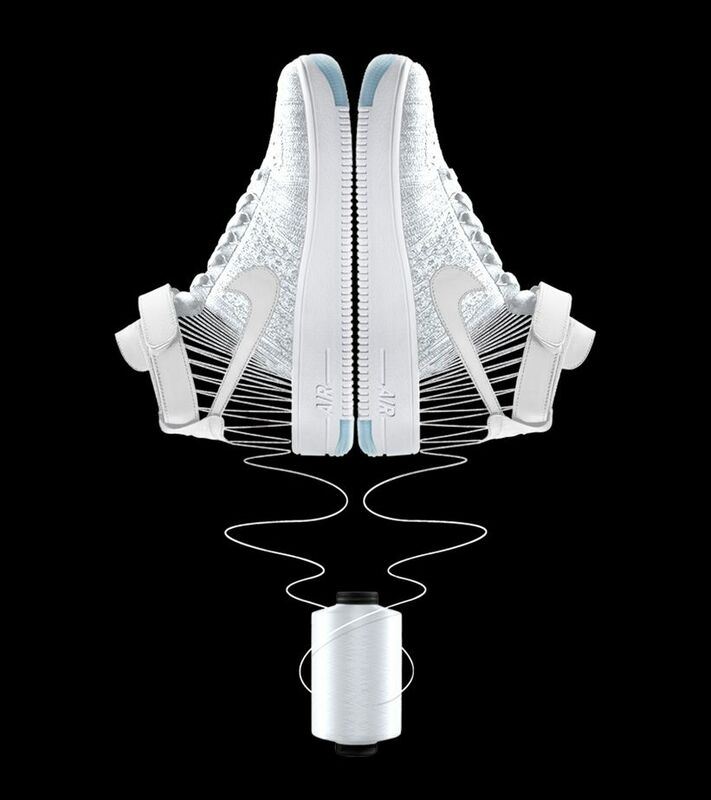 The innovative update helps reduce weight dramatically, making the Air Force 1 Ultra Flyknit 50% lighter than the original. 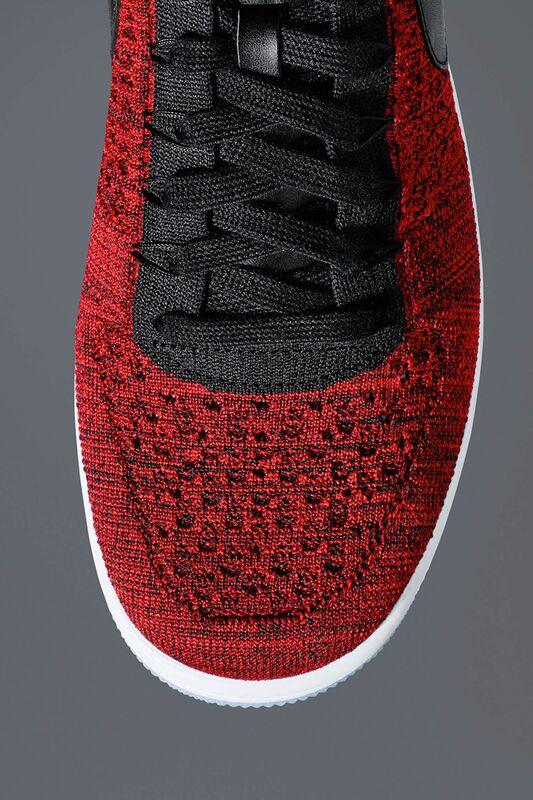 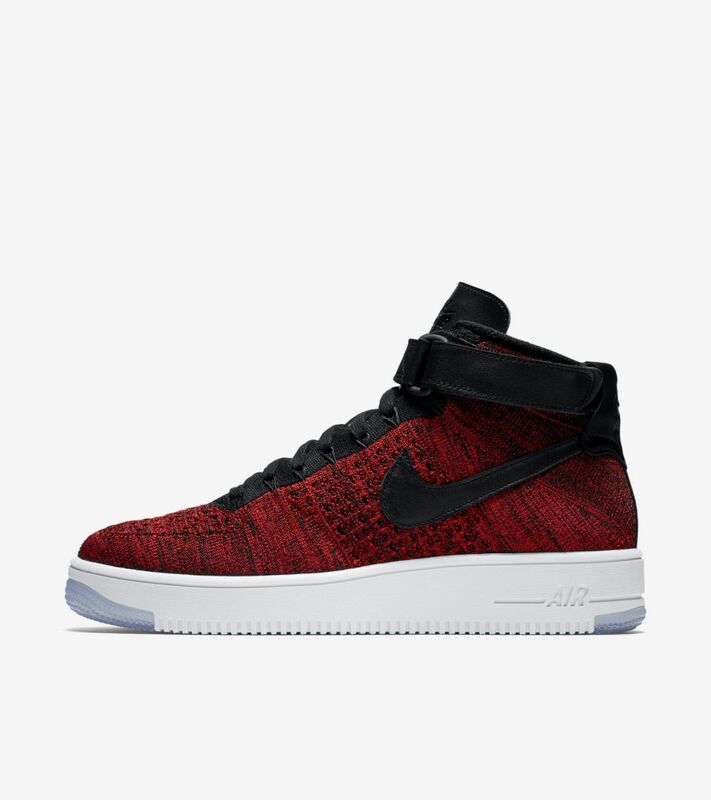 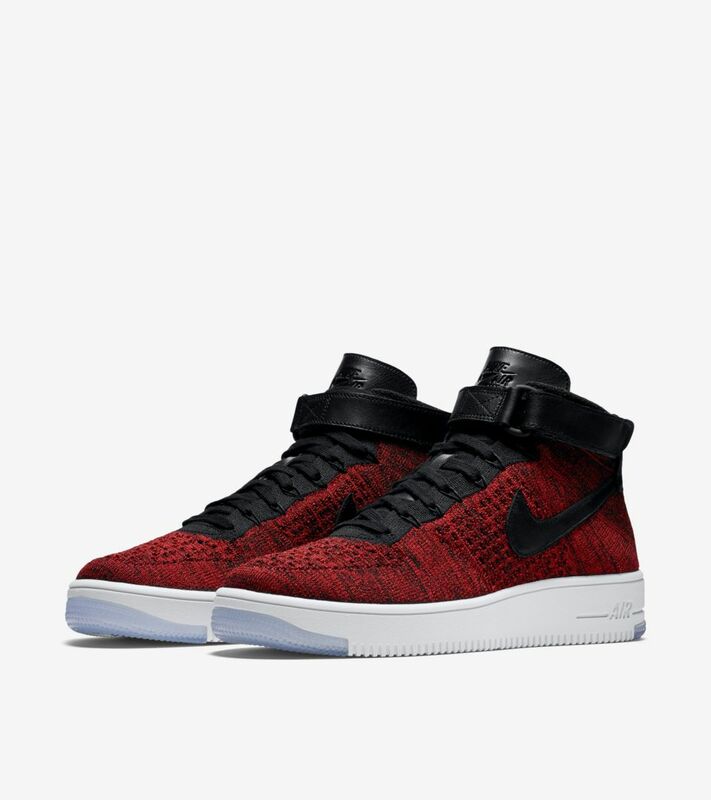 The shoe's Flyknit upper also helps increase breathability, while offering an ultralight feel and the most adaptive fit in Air Force 1 history. 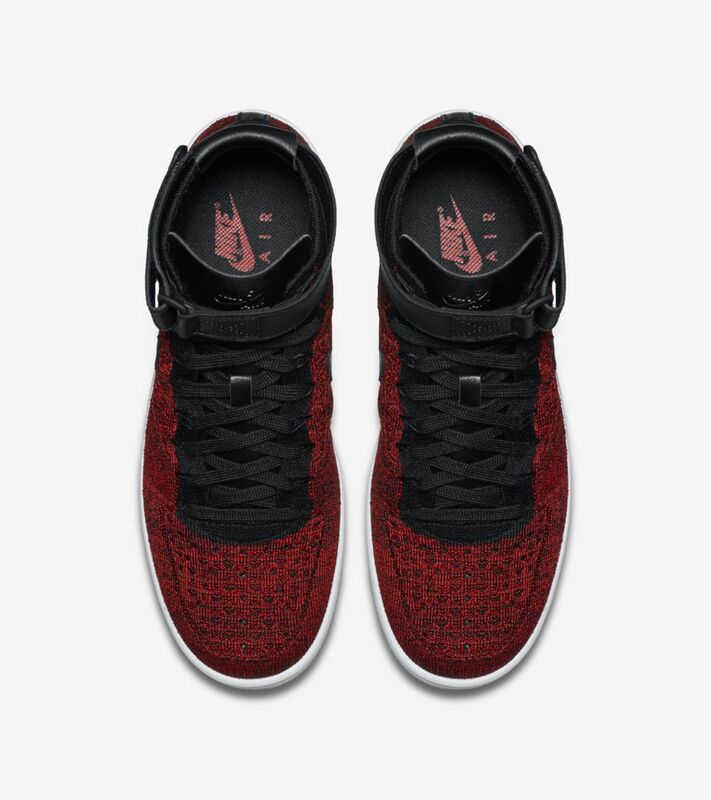 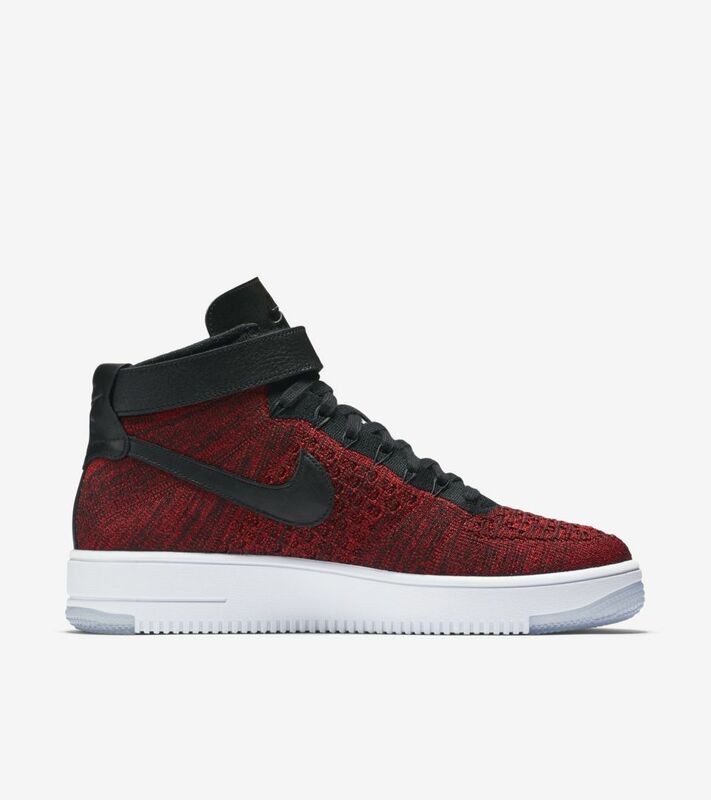 Ultra technology is utilized in the midsole of the Air Force 1 Ultra Flyknit, helping further reduce weight while elevating overall comfort. 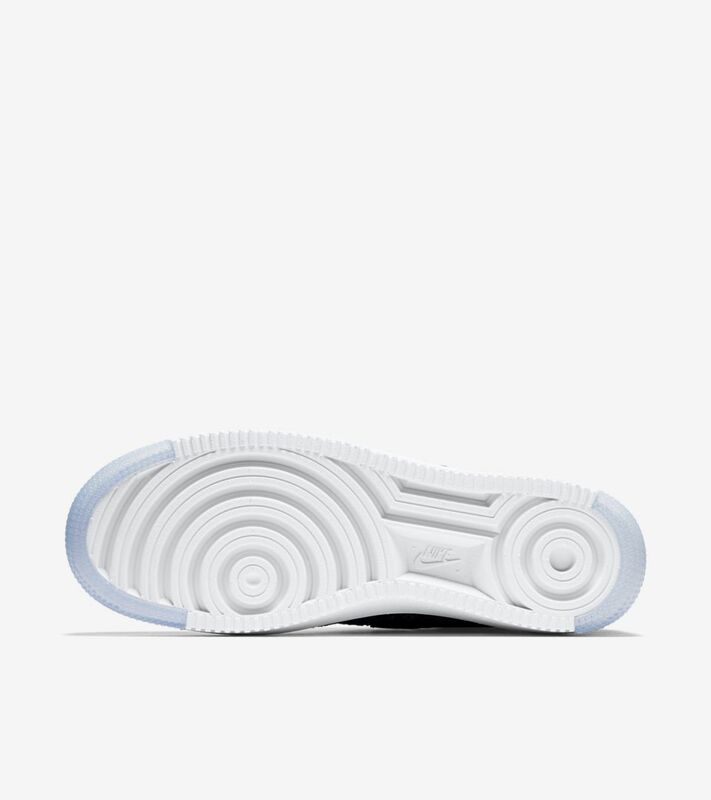 Done up in classic Air Force 1 fashion is a lightweight foam midsole and cored-out outsole, complete with the silhouette’s iconic pivot points and new translucent detailing highlighting the heel and toe. 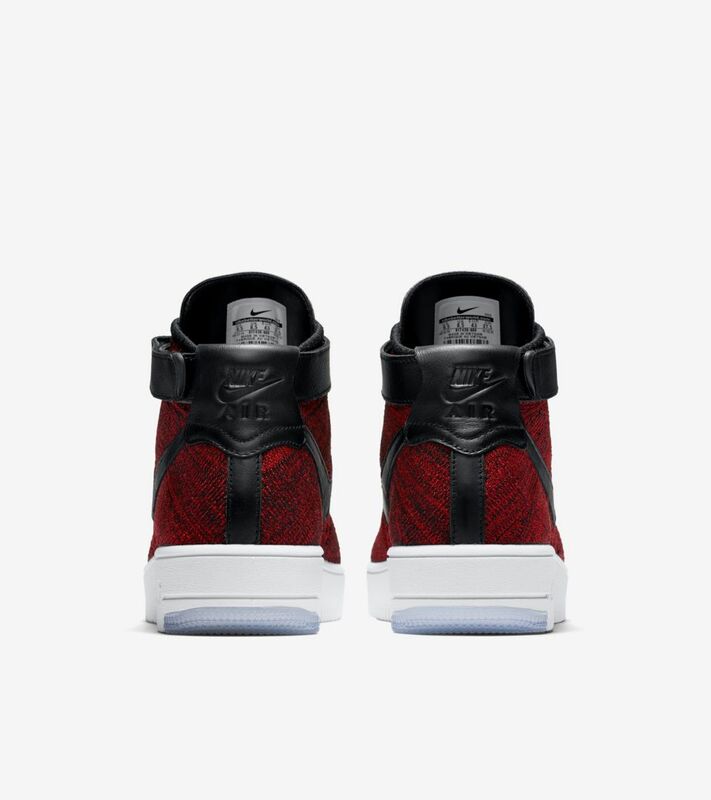 Introduced in 1982, the Air Force 1 redefined basketball footwear from the hardwood to the blacktop. 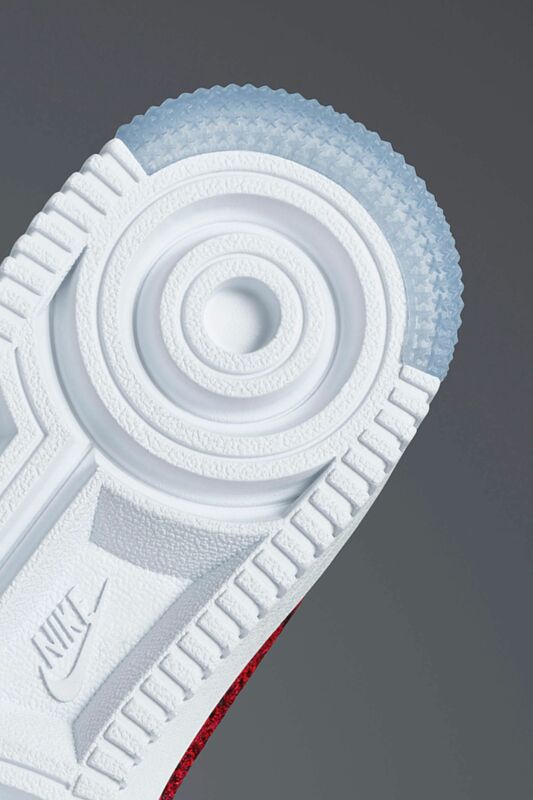 It was the first basketball sneaker to house Nike Air, but the innovative nature of the Air Force 1 continues to evolve due to the silhouette's status as a street icon.